I’ve just discovered how to get these PC games running on a Mac without the need to run a Windows virtual machine and I wanted to share the process with you for the benefit of Googlers alike looking for simple solutions. These are the real deal—completely self-contained single ‘.app’ bundles, just double-click to play. 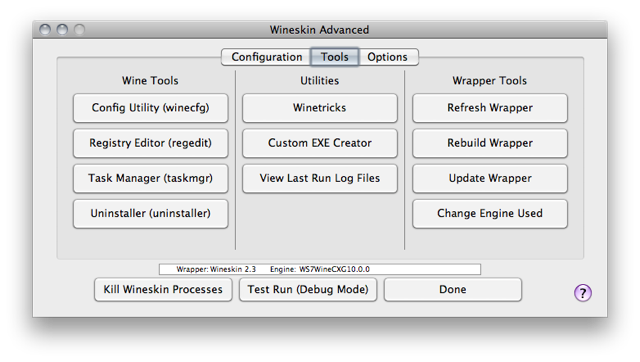 Wineskin is an app that creates self-contained Windows application bundles on a Mac using Wine. To understand how it is possible to run Windows/PC games on a Mac without Windows consider this: Your Mac has an Intel processor, and these games were written for Intel processors, so what’s the difference between a Mac and a PC? 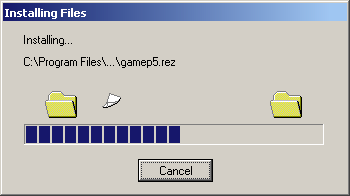 It’s the libraries (DLL files) that the game calls to to get things done (like DirectX). 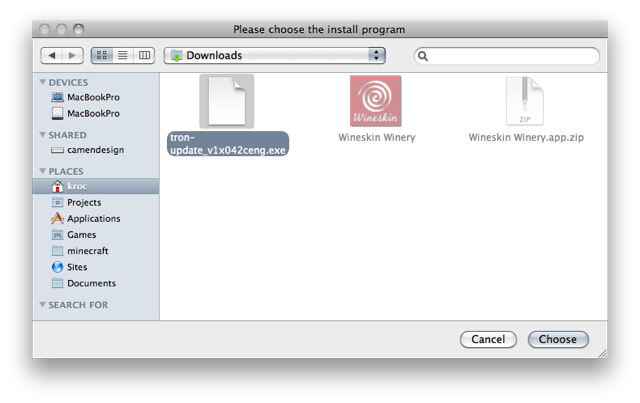 Click the green download button, and then the “Wineskin Winery” link. 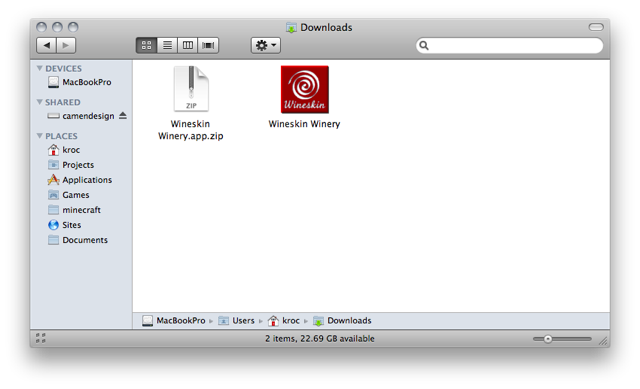 The download comes in a zip, which you should open to unpack, giving you the Wineskin Winery app. 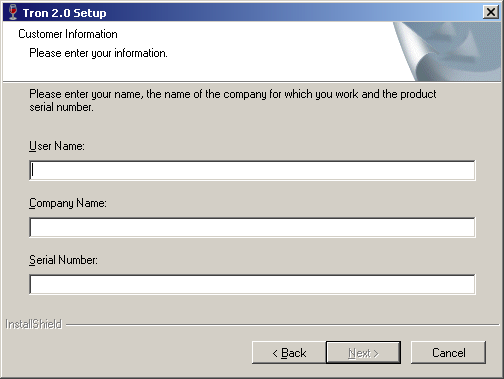 The default, which is designed for broad compatibility with most Windows software but trades off compatibility with some specific games to better suit more typical desktop applications, like Microsoft Office. CrossOver is a commercial Linux / Mac program that takes Wine and adds a friendlier user interface as well as improving compatibility for specific popular applications like Office. CrossOver also make CrossOver Games which is the same as regular CrossOver except focuses more on compatibility with games. Click the “+” button to add a new engine. For our games to work we need to use the CrossOver Games (WineCXG) engine. 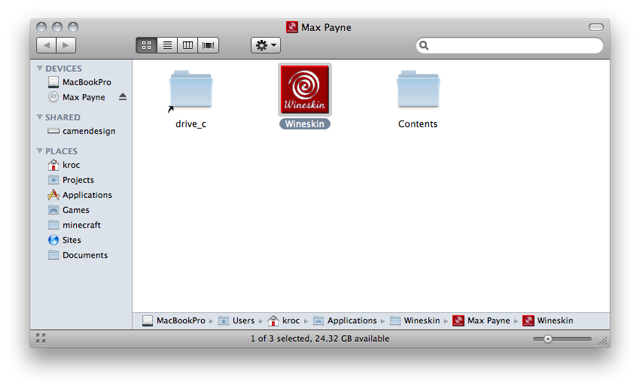 Don’t worry—even though CrossOver Games is a paid, commercial product, that only applies to their user interface, the engine is open-source and can be used for free elsewhere, such as here with Wineskin. 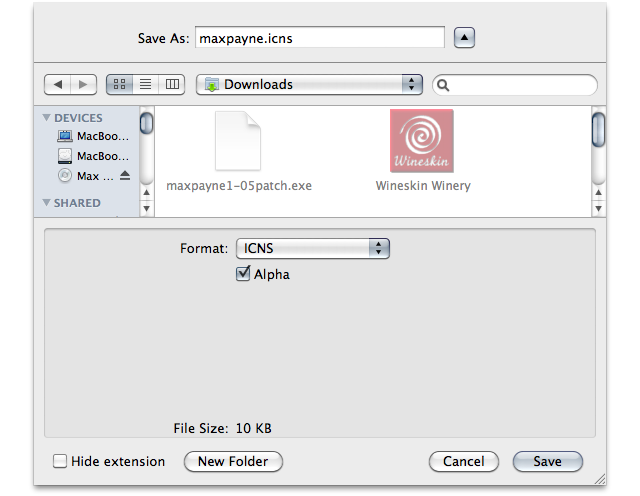 Click on the drop-down, scroll to the bottom and select the latest version of WineCXG. 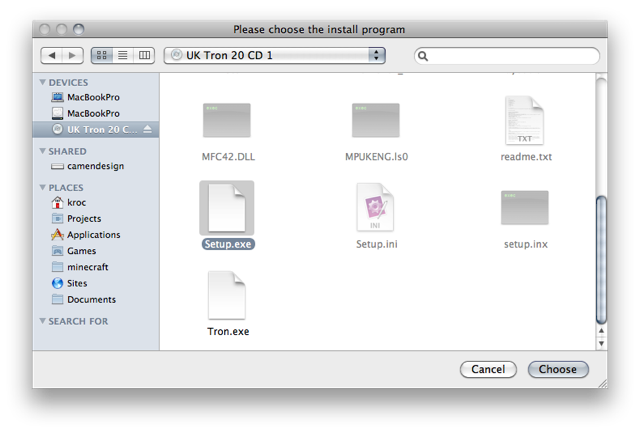 Then click the “Download and Install” button. Just click “OK” here to begin the download. 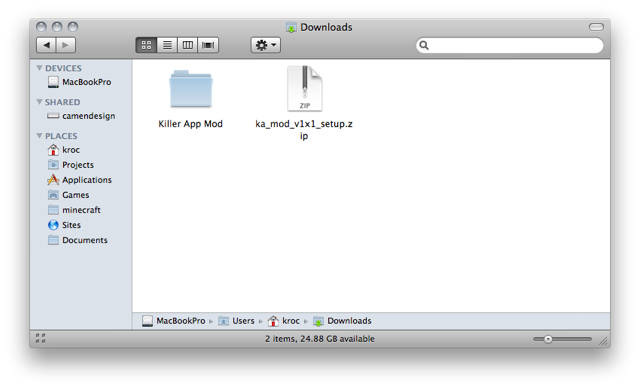 Once downloaded, you’ll be returned to the main interface now showing the engine in place. 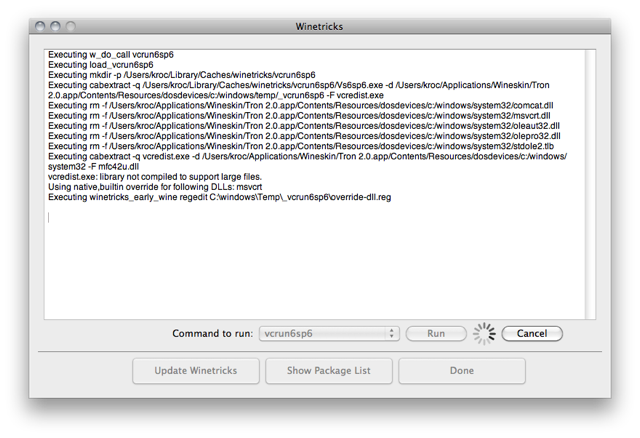 The Wineskin Winery app you are running is a ‘factory’ for producing blank “.app” bundles into which you install your Windows games. The engine forms the core that does the translation from PC code to Mac code, but think of the “Wrapper” as a blank Windows virtual machine (even though it’s not), a clean-slate install of Windows into which your game will be installed and then will become the simple icon you just double-click to play. Click the “Update” button to download the latest Wineskin wrapper that will act as the blank template for each separate Windows game you want to install. 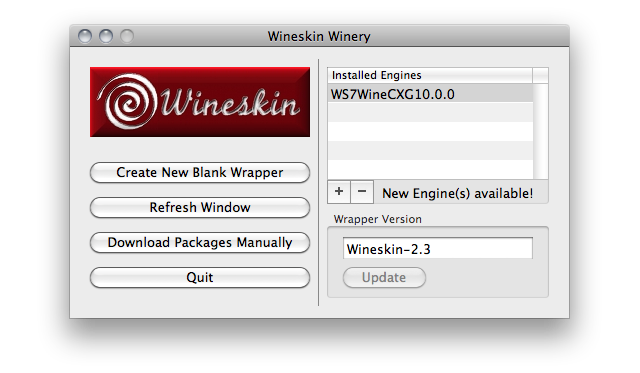 Wineskin Winery is now installed and ready to go. 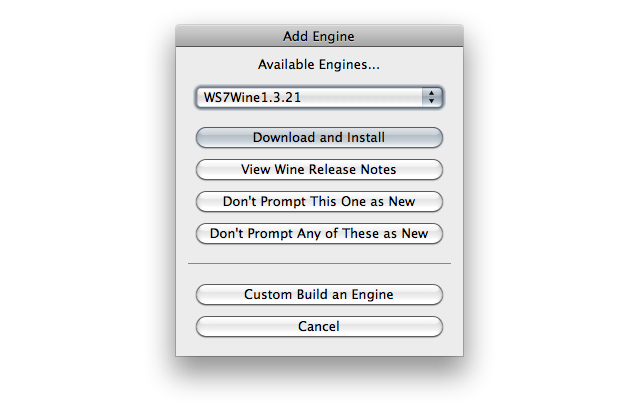 Open the Wineskin Winery app each time you want to install a new Windows game. 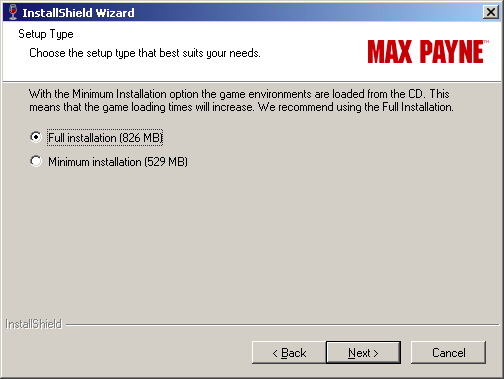 Instructions are provided for Max Payne, Max Payne 2 and Tron 2.0, but the first parts of these instructions will apply to any Windows game. This is a general overview of how to create a new Winekin app bundle in to which you will install your Windows game. Click the “Create New Blank Wrapper” button. Enter the name of the game and click “OK”. Wineskin Winery will now prepare a blank wrapper to host the game, this may take several minutes. During this, this window will appear. This is the Wine engine being installed into the wrapper. Once complete this message will appear. 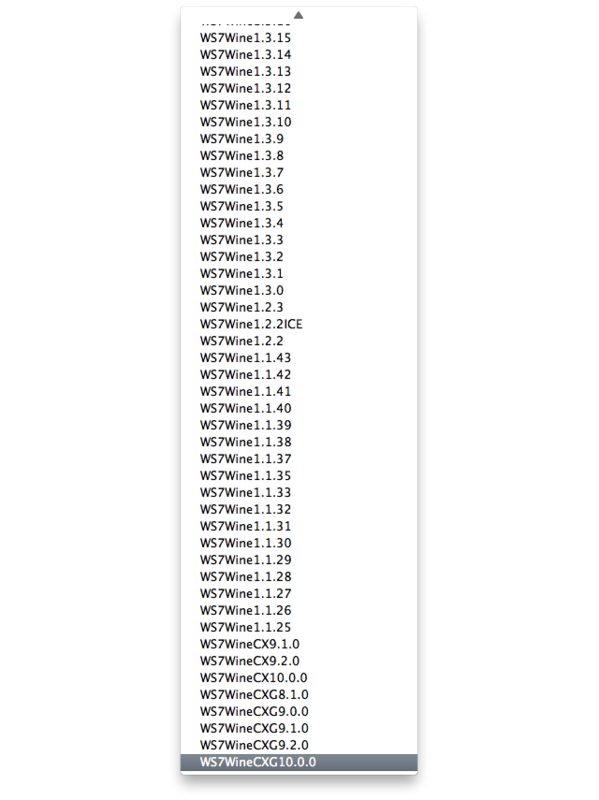 Click the “View Wrapper in Finder” button. 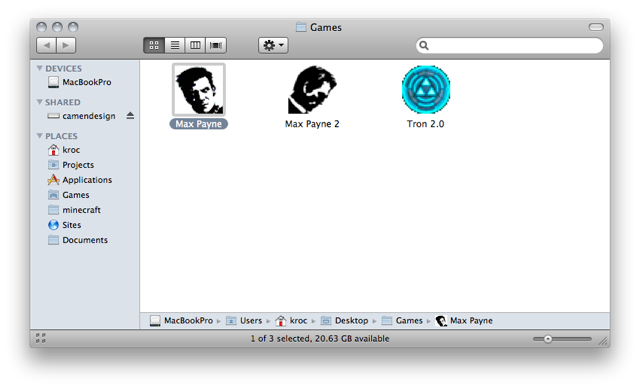 This is an empty Mac application with a psuedo-Windows environment inside for running PC games. Now we just need to install the game into it. By default Wineskin Winery puts these bundles in ~/Applications/Wineskin/ (the Applicatons folder in your home folder, not the main Applications folder!). You can move the game apps anywhere you like, they are independent and self-contained. If you would like to change the app’s icon to something better, refer to the instructions here. After a game is installed, if you open your app bundle the game will attempt to run (instead of showing the Wineskin configuration app) and if you haven’t installed any necessary patches yet, will probably crash. 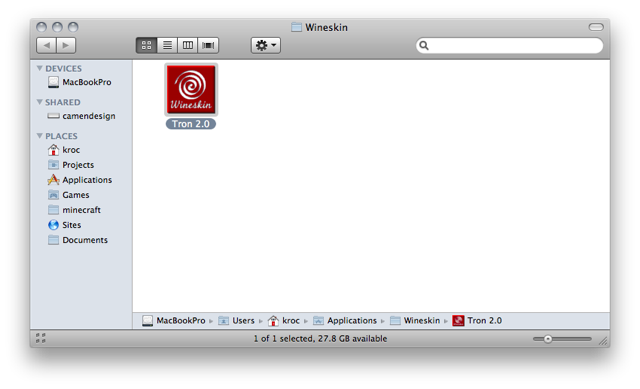 You will need to know how to get back to the Wineskin configuration app so that you may install additional software for the game as how to do this is not immediately obvious. 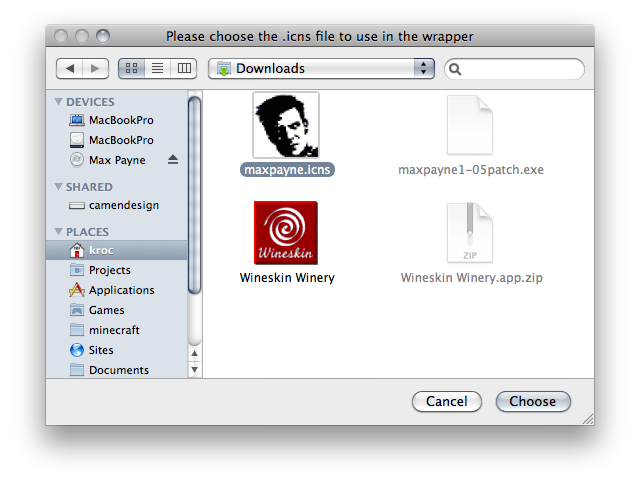 If you would like a swanky icon for your app instead of the deafult red Wineskin logo, follow these instructions. 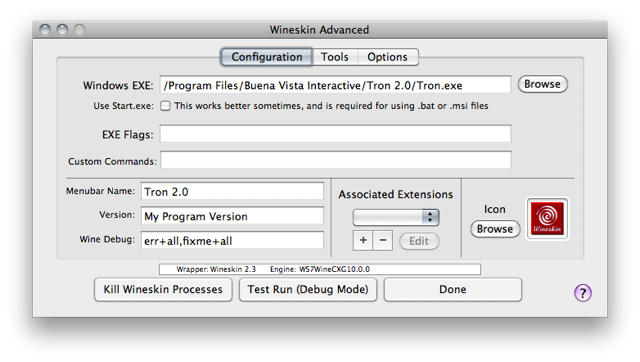 Click on “Done” in the previous interface, then “Quit” in the Wineskin configuration app window. 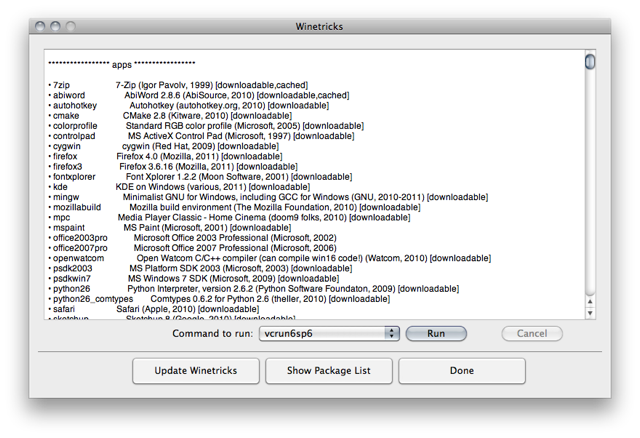 Please ensure that you have first followed the instructions in the Installing Wineskin section. 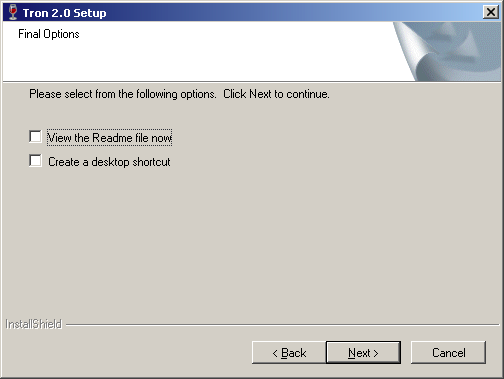 Navigate to the “Install.exe” on the disc and click “Choose”. 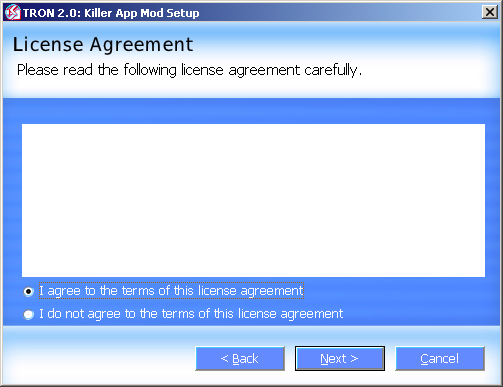 Click “Yes” and then “OK” to continue, the game will still be able to play. 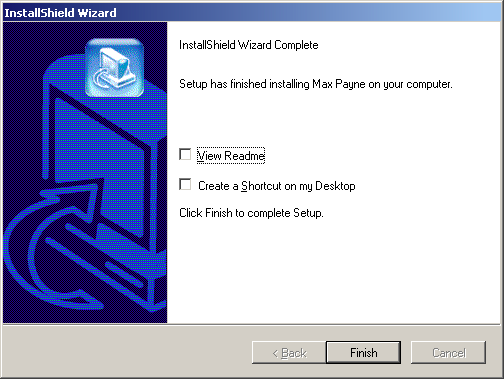 Please proceed through setup as you normally would on a PC, no options need to be changed and please ensure that you use the “Full Installation” option when asked rather than the Minimum Installation. 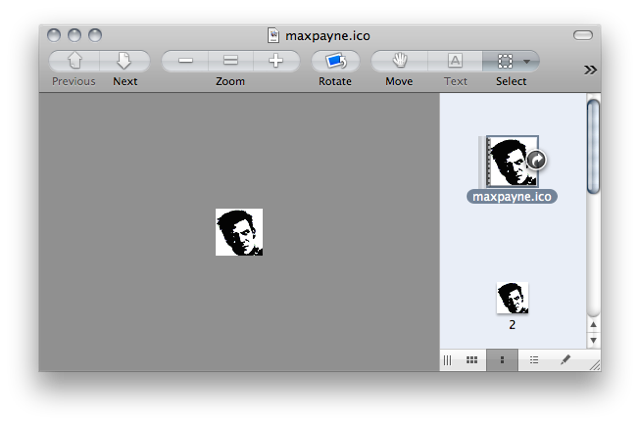 Click on “Finish” and after a brief moment, this window should appear. 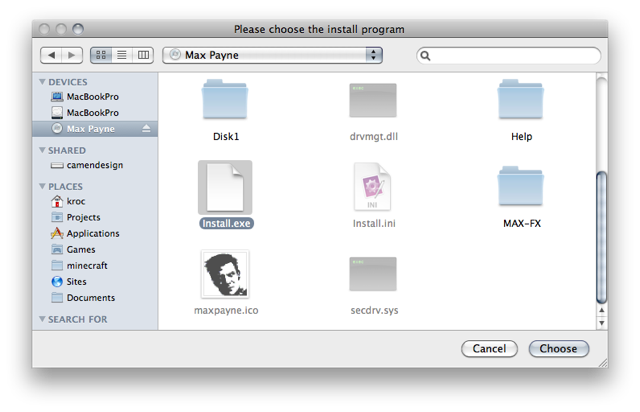 If the selected executable does not say “MaxPayne.exe”, please change it to do so. 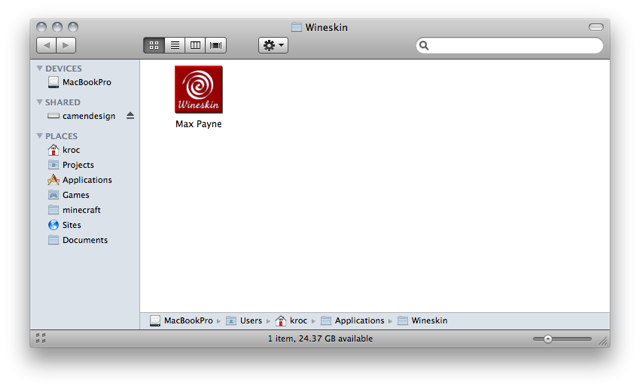 Click on “OK”, you should be returned to the Wineskin app. 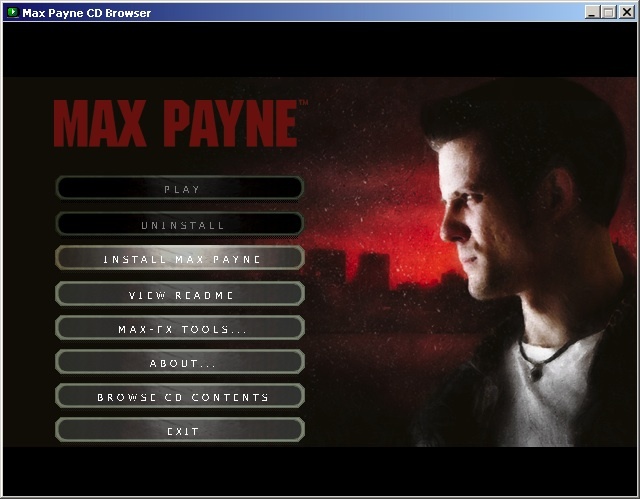 Max Payne is now installed, but will not be playable until you have patched it to the latest version (if your disc was an early one) and installed a No-CD crack so that you can play without the disc in the drive. 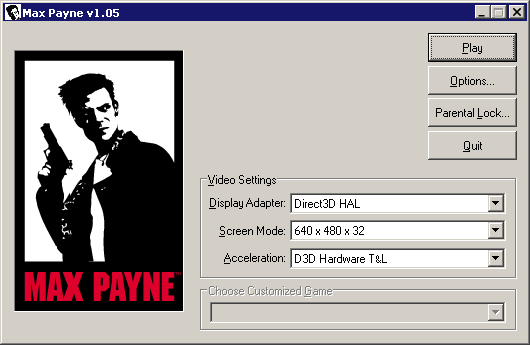 Due to the blocking of debuggers (anti-piracy), Max Payne will not run in Wine without a no-CD patch that removes these limitations. 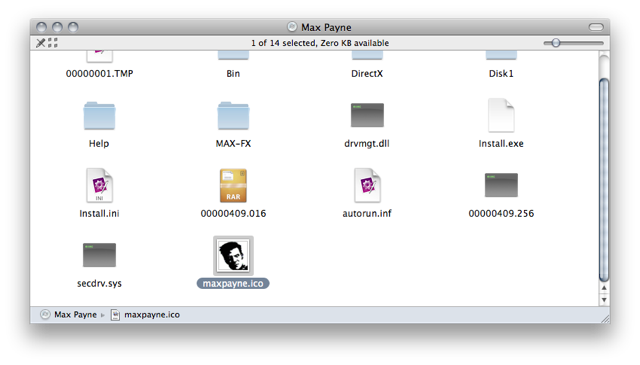 I can’t provide you a link to a no-CD patch because in some non-free countries where citizens don’t own the software they pay for (like the USA for example) such things are considered illegal, but if you were to enter “Max Payne” and “no CD” into a search engine, something might happen. Generally no-CD patches will fall into two types. The first are patching programs that you run and they locate the game files and modify them. 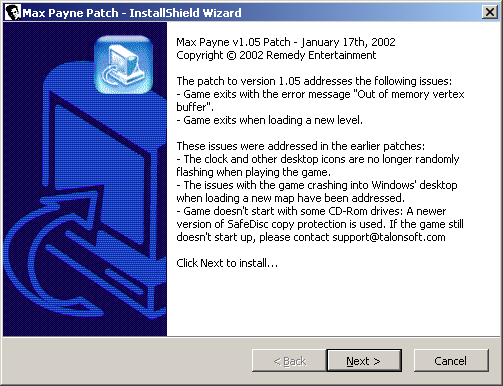 To install these, just follow the same instructions as patching Max Payne to v1.05. 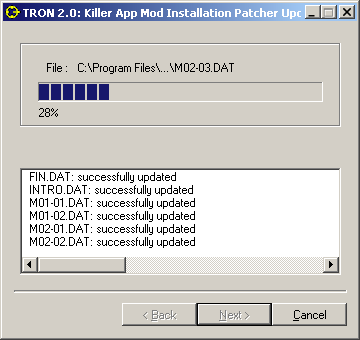 The second type of patch is a replacement executable. 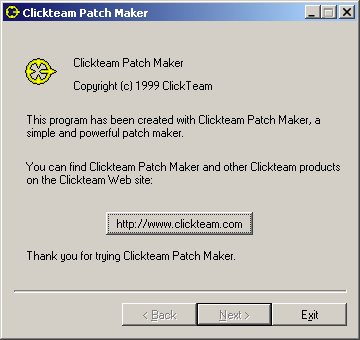 These patches require you to copy and paste a new EXE file replacing the old one. 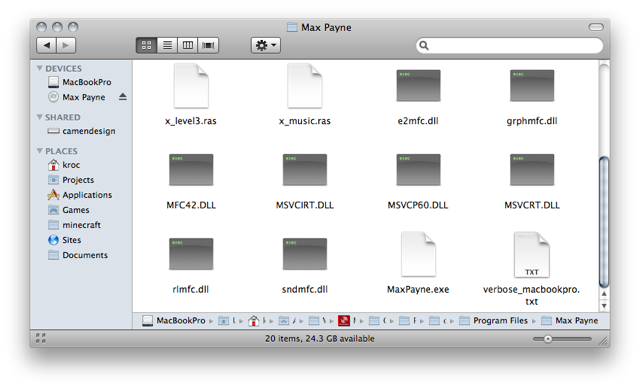 I’ll provide instructions on how to do that here as it is not obvious how to find the right “Program Files” folder for the game on the Mac. 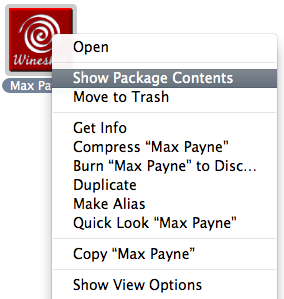 Just like opening the app bundle to get to the Wineskin configuration app, you need to right click (or ctrl+click) on the app bundle and choose “Show Package Contents”. Drag and drop your replacement executable from where ever you have it stored into the Finder window and choose “Replace” when prompted. 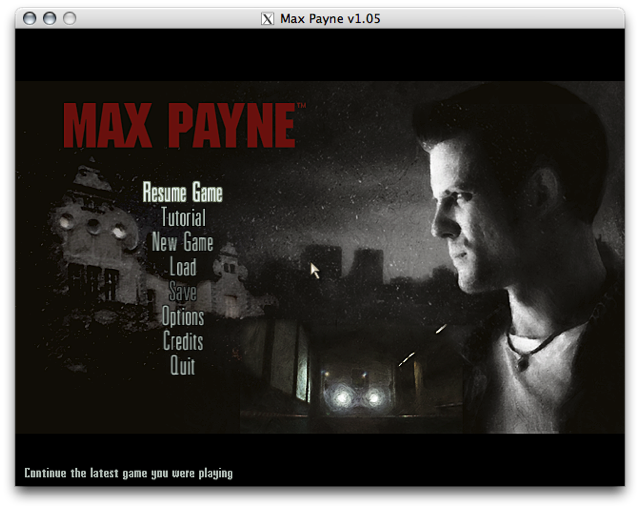 Finally, with all that done, Max Payne will be playable. Just double-click on the app bundle and you should be greeted with the familiar launcher! From here you should know what you’re doing. Choose your resolution and graphics settings and click “Play”! 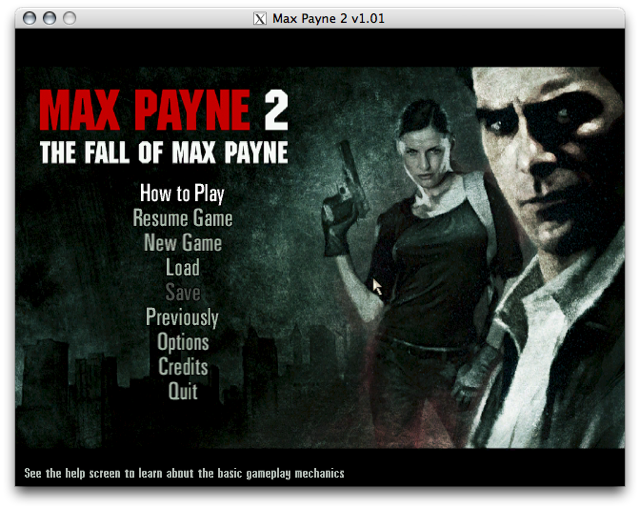 Guru Note: Installing Max Payne 2 is almost exactly the same as Max Payne 1, anybody should be able to do this. However, you won’t be able to eject the CD! 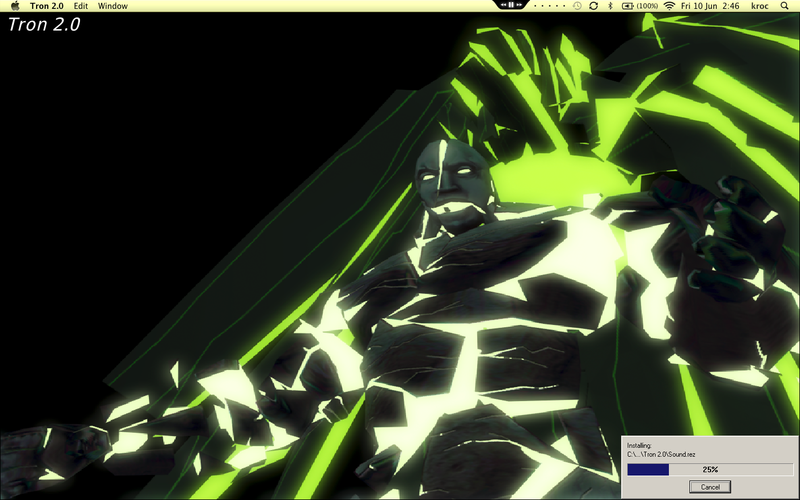 Note: I am not sure if the force eject feature is present in Mac OS X 10.5 Leopard. 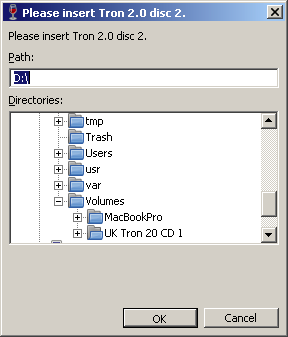 If you are not able to eject the disc, cancel the installation and then copy each CD to separate folders on the computer and then use the directory browser on the “Please insert Tron 2.0 disc 2” window to locate the second CD folder. You don’t need to tick either of these boxes. You also don’t need to change this option. This will not restart your Mac. At the time of writing this guide Tron 2.0 uses a part of the Microsoft Visual C++ 6 Runtime that is not yet implemented in Wine. Therefore we need to install a copy of the Visual C++ 6 Runtime to get the game to run. The Unofficial Patch 1.042c is the same as the official patch but fixes some additional bugs and removes the requirement of having the CD in the drive to play (no-CD). 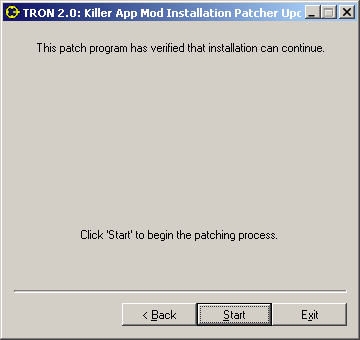 The unofficial patch is maintained by a team called the Living Dead System Operators (LDSO) on a blog dedicated to Tron 2.0. 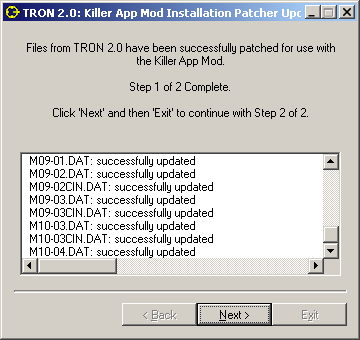 An extensive list is kept there of all Tron 2.0 patches, mods and tools. It is this information that helped me form this guide, so I would like to extend my thanks to the members of the LDSO. 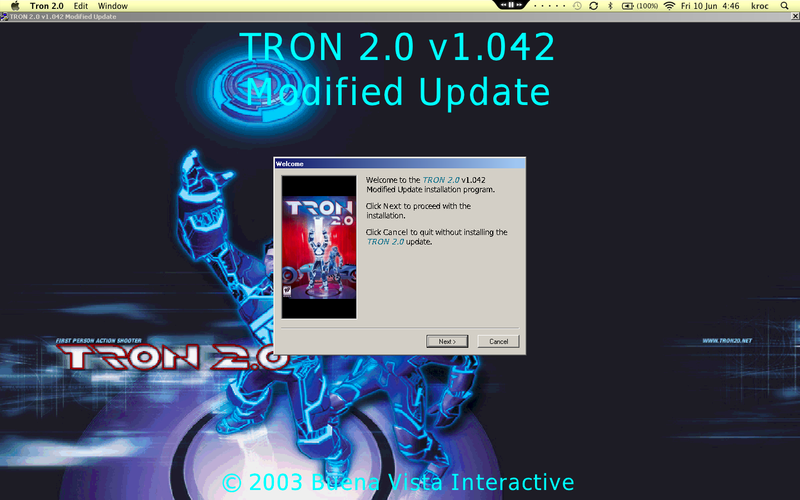 With that done, Tron 2.0 should be playable!—but we’re not out of the woods yet! 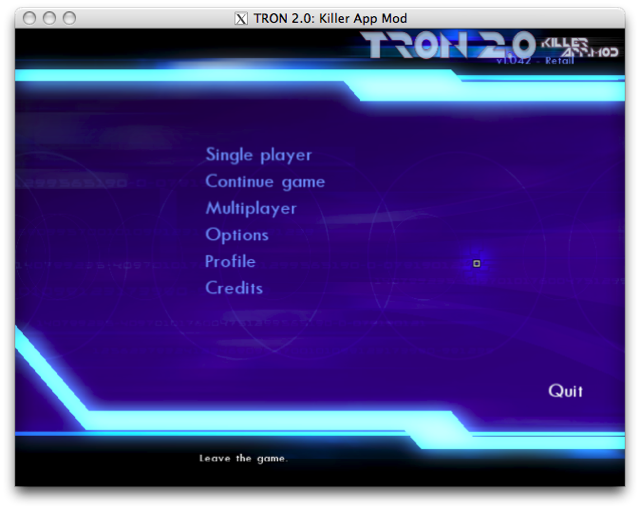 Out of the box Tron 2.0 does not support widescreen resolutions (like 1440×900, 1920×1200), only 4:3 resolutions like 1024×768. 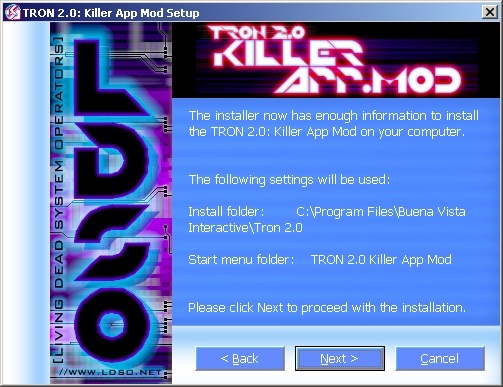 The Killer App Mod for Tron 2.0 adds support for these resolutions in (as well as the necessary corrections to the cutscenes), but also fixes lots of outstanding bugs with the game as well as adding new content in (especially around multiplayer). 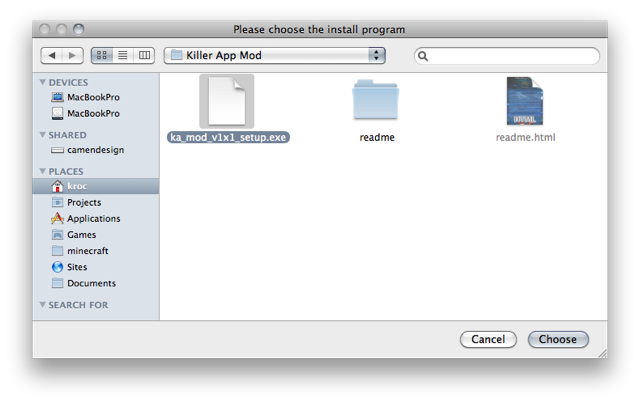 For more details see the Read Me file in the Killer App Mod download. 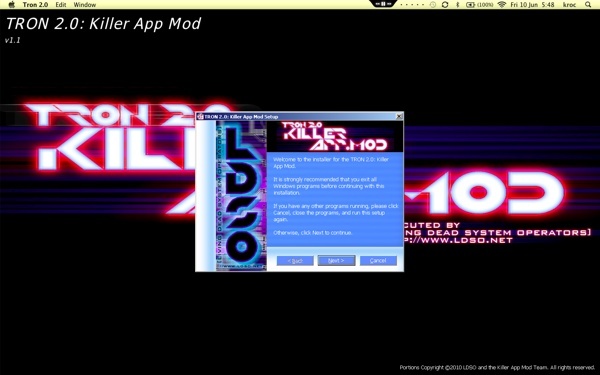 If you have problems during installation or after installing the Killer App Mod please refer to the Killer App Mod Help And Troubleshooting Guide. Select your screen resolution and click the “Next” button. 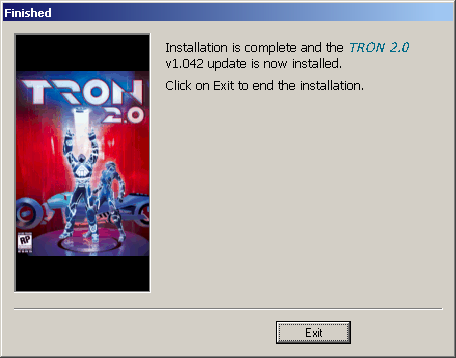 Congratulations, you have successfully installed Tron 2.0 on a Mac! If you would like to change the app bundle’s icon to something better, consult these instructions. Double click your app bundle to play! Note: Do not click on the “Display” option, as that will reset the screen resolution to 640×480. 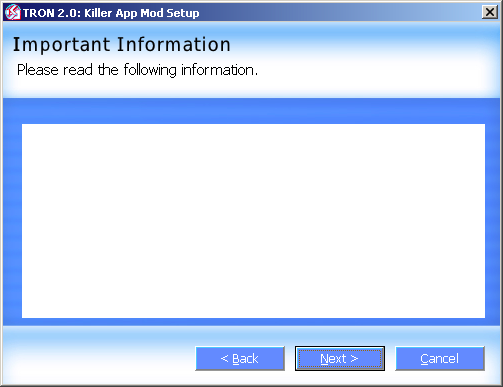 This issue should be fixed in the 1.2 version of Killer App Mod at a later date. Please send any feedback for this guide to kroc@camendesign.com or leave a message in the forum. 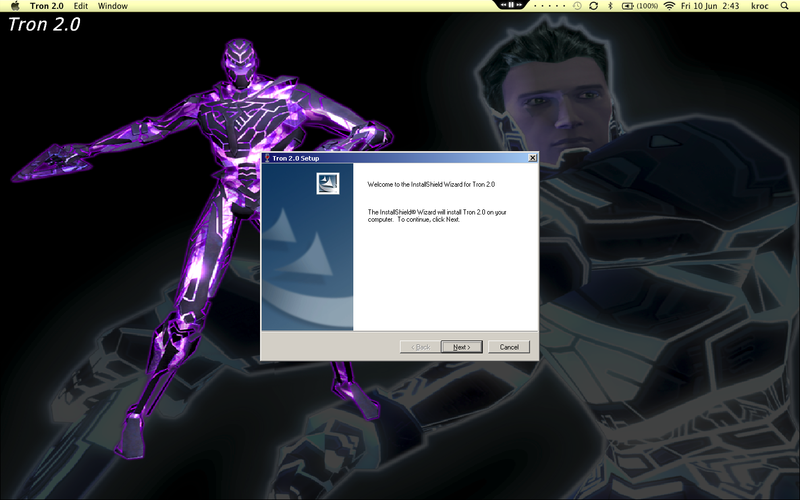 Thanks goes to speedofmac.com for pointing me in the direction of Wineskin, the Wineskin and Wine developers for making this even possible, and ldso.net / tronfaq.blogspot.com for the hard work in supporting Tron 2.0, because Disney won’t.